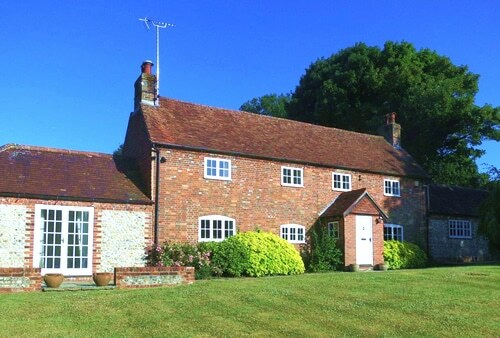 If you are looking for a professional residential letting and management service for a country house or cottage in rural Hampshire or West Sussex then look no further than The Country House Company. With over 20 years experience in residential lettings, we provide a thorough, professional service for property owners considering letting their properties. We do this with attention to detail, letting and managing property for UK based landlords, overseas landlords and the landlords with portfolio’s. If you are considering letting your property, a member of our experienced team will meet you to discuss all aspects of the proposed let. We will provide you with comprehensive advice on safety, legislation, decoration, provision of furnishing and white goods, refurbishment or upgrading. We will guide you through the whole process of letting your property, simplifying and organising what can be a daunting task. All of these services are individually tailored to the requirements of each Landlord. We can help you decide on the timing of the let, management of the grounds and house (ie whether or not gardener or cleaners are required), inclusion or not of pets and the legal nature of the let. As you would expect, integrity is at the heart of our approach. We are governed by the Association of Residential Letting Agents’ code of practice and we adhere to the standards laid down by the Royal Institute of Chartered Surveyors. This combined with our proven track record and experience, will help you secure the right tenant. We have a large database of applicants including many from London looking for either weekend homes or a permanent move out of London plus local and overseas applicants. Our understanding of client needs and property means we are often able to match tenant to home quickly without the need for advertising. We can also provide you with information with regards to short term lets. Please click here for more information.